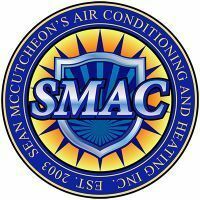 Sean McCutcheon’s Air Conditioning and Heating now offers PACE Financing! A new AC System can significantly reduce your electric bill, but the initial expense can be intimidating. Sean McCutcheon’s Air Conditioning and Heating can help make that very worthwhile investment a little easier for you with a new clean-energy financing program. Sarasota County Homeowners can now take advantage of the Property Assessed Clean Energy (PACE) Financing Program which allows them to borrow up to 20% of their home’s value to finance energy-efficient heating, cooling, and ventilation systems. Homeowners can take up to 15 years to pay back the loan and, thanks to an agreement between the PACE Providers (the financing organizations) and the Sarasota County Property Appraiser and Tax Collector’s office, the amount to be repaid is included as a non-ad valorem assessment on your annual property tax bill instead of a monthly payment like most other home expenses. The first of four PACE Providers, Renew Financial, is now able to provide PACE Financing to homeowners in unincorporated Sarasota County, the City of Sarasota, and the City of North Port. Homeowners in the Town of Longboat Key should be able to access the program soon. In order to take advantage of this financing program, your contractor must be an Approved PACE Contractor. PACE Contractors are trained on regulations related to the PACE program, they conform to a code of conduct, and their licenses and insurance are checked. 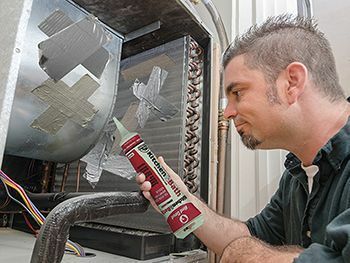 Sean McCutcheon’s Air Conditioning and Heating is already approved and we’re ready to help homeowners like you make their homes more energy efficient. If you’ve been thinking of a new AC System but weren’t sure how you were going to pay for it, give us a call at 941-921-7208, we’ll gladly answer any questions so you can decide if PACE Financing is right for you.